I have a childhood friend who lives in San Diego and is obsessed with everything Haunted Mansion. She probably goes to Disneyland twice a month and never misses a chance to ride on a Doom Buggy. Her absolute favorite characters from the Haunted Mansion are the Hitchhiking Ghosts. 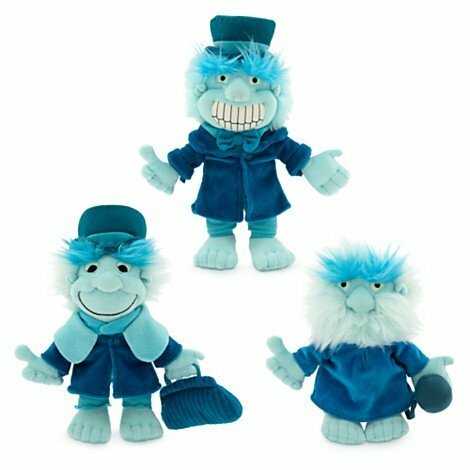 Perhaps I'll arrange to have these Hitchhiking Ghosts plush toys sent to her for her birthday! Note that they glow in the dark - how cool is that? 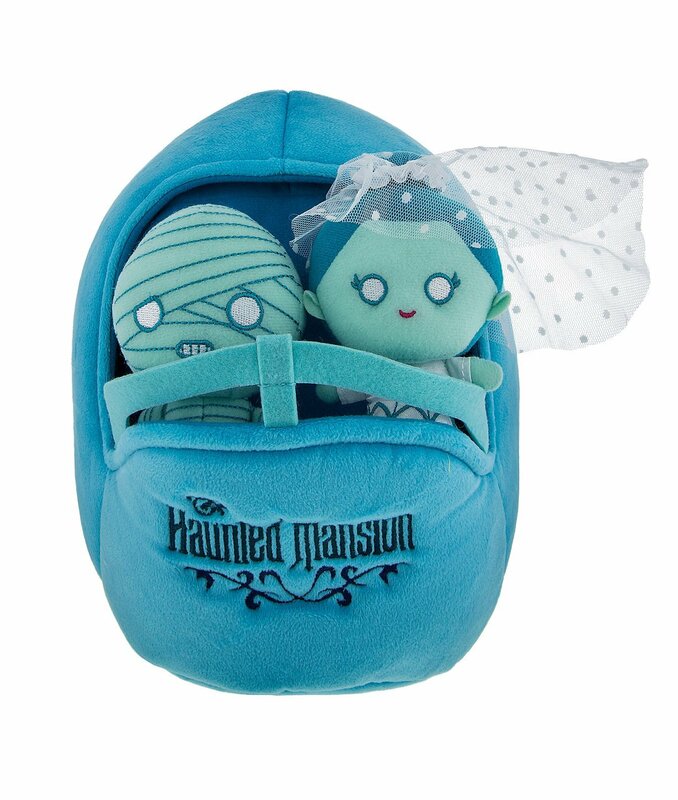 The Doom Buggy plush playset is too adorable! Perfect for a goth baby shower. 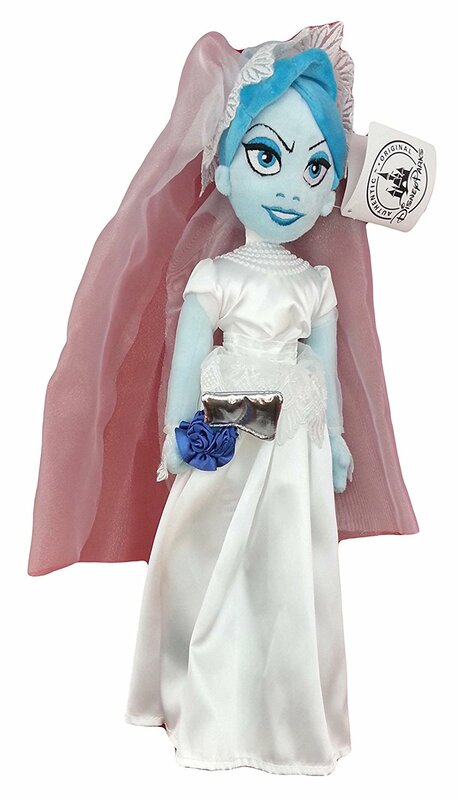 For older kids (or adult collectors) here's the 14" Haunted Mansion plush bride. If I have a goth friend getting married this summer, I might add this to her bride gift basket! Here's Disney's Haunted Mansion Tsum Tsum plushies. They depict the Hitchhiking Ghosts. 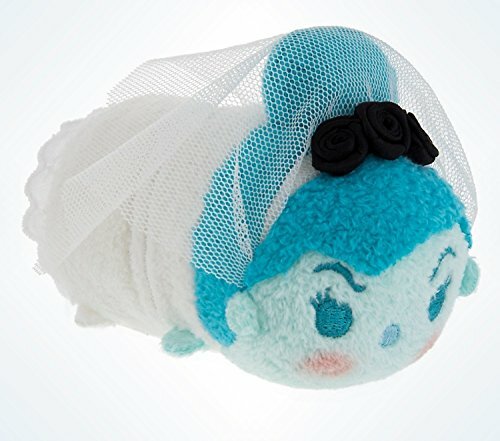 Disney also made a Constance Bride Tsum Tsum with a cute little veil. 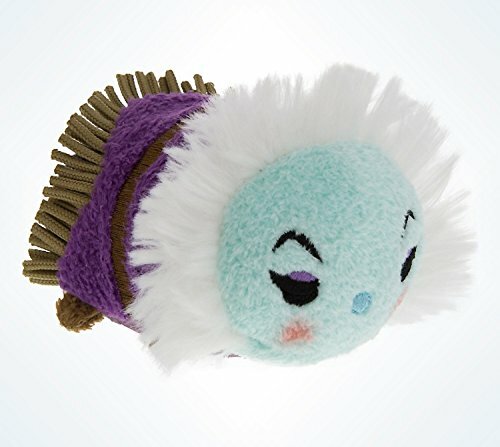 Your Haunted Mansion Tsum Tsum collection won't be complete without Madame Leota!